5 years ago today, I tuned 30 and published a blog post with some larger than life goals attached. I had decided to participate in a 101 in 1,001 challenge, which consists of setting 101 goals for yourself and living them out over the course of 1,001 days (2.74 years, to be exact). I remember drafting the list one sweltering afternoon in the passenger seat of my minivan, AC blaring in the muggy Wichita heat. Waverly napped in her carseat, and Ryan walked around used car lots looking for a Tahoe to get us through the snowy Kansas winter. I remember the feeling of excitement and commitment I had the moment I pressed ‘publish’, and could so clearly see all of the adventures that lay before us. 3 months later, I found out I was pregnant, and the majority of that list went RIGHT out the window. THAT certainly gave me a chuckle. I don’t think I gave “35 year old me” a second thought. I remember so many details about my 30th birthday- what I wore, what I ate, what we watched during the Summer Olympics, what I bought with my mom at Von Maur as impulse birthday presents. Life is SO DIFFERENT now- another child, another state, a dog, and a new job that I would have confidently bet you $10,000 5 years ago I would never have on my resumé. It’s been 10 years since I moved to New York City, and my baby girl starting Kindergarten next week… the milestones are building up all around me, and I hate the feeling that I’m slowly becoming too attached to checking Instagram to put the phone down and fully LIVE life. Looks like it’s good timing to get this thing going again. 101. Throw a party for completing my list! I really miss this space. I miss coming back to this blog, this tiny little bright, cozy corner of the Internet that was all mine and was such a big part of my life for so long. I miss taking a few minutes out of my day to pull up my laptop, drink a glass of wine (or 3) and keep track of the big things in my life, and the little things in my life, and the completely mundane things in my life that would have been completely forgotten about had I not recorded it for posterity. Wading through the sometimes pointless, sometimes obnoxious, and often cringe-inducing (what is with the third person references, Lulu?!) posts in these archives allow me to look back and really marvel at some of the things I’ve done in this short life of mine. Sometimes I sit at a stoplight in my 2011 Town and Country minivan, The Adventures of Peabody and Sherman blasting from the travel car TV behind my head, and can’t believe there was a point in my life where I lived in New York City for 3 solid years. I’m happy that Instagram is a “thing”, and that is allowed me to microblog, if you will, over the last few years to capture some day-to-day snapshots. But I came back to this page for the first time in a looooong time- it’s been almost a year since I even typed in the URL- and am sad I didn’t take the time to recap my trip to visit Ryan when he lived in Prague during grad school. I’m sad I didn’t rehash what it was REALLY like to semi-solo parent a destination wedding trip to Mexico with 2 small toddlers (newsflash: mostly not very vacation-y). I’m not the journal writing type (good Lord, you should SEE my handwriting in real life), and I’m not good at keeping up on photo albums in this digital camera/camera phone age (the kids don’t even HAVE baby books yet, which makes me feel guilty on a regular basis). This has always been that little space in the world I have to catch little snippets of life and save it for later. But bringing yourself to actively start blogging is a hard thing to bring oneself to do these days- there’s this self-imposed pressure to have the most bright, clear, professional photos and the most spectacularly styled house and curated closet; a second-guess that the post you want to put together on your favorite recipe is somewhat “less than” because the cutting board is sitting on the brownish-greenish-grey granite of the house you rent, instead of on the crisp Carrera marble counter of that modern farmhouse of yours people can’t seem to stop pinning photos of. But that’s just not who I am- I don’t spend piles of money at Resto Hardware, and I can’t DIY crown moulding into my rental house. I can’t do seasonal posts on the greatest new children’s clothing, because right now I only shop for the kids once a year. Nobody is going to be moved by my fashion posts because a) aloof fashion poses were never my strong suit (my modeling career abruptly ended at the age of 8 after a few print ads and a commercial for the local cable company), and b) I’ve mostly transitioned to a capsule wardrobe so I wear similar versions of the same thing each week. Part of me feels like if I’m not doing those things to the Nth degree, or if I don’t have a gimmick or some focused blog theme than I’m a mess and have no business posting on a public website. But I’m kind of a mess- I’m trying to navigate this messy world just like all of you are, and I like weird, disparate things (I’m pretty sure I’m the only person on earth who was gifted the new book from Dita Von Teese AND a book on soil composition called Teaming With Microbes). I’m ready (again… I think…) to get back to putting my chaotic, messy, awesome life back on my website, and have a place to come back to in 6 months or 6 years and cringe and laugh some at more. One year ago today, Ryan flew out to Carlsbad, CA to start his first day in his new job. I woke up at 5am, packed up our hotel room, and grabbed some drive-thru McDonald’s breakfast on the way to meet our moving crew and semi truck full of personal belongings. I stepped foot in our empty house, put down the kids and my coffee on the hardwood floor, and turned to lock the door behind me. Wilder crawled over to my hot coffee and spilled it all over the floor before I had the chance to take one sip. No caffeine, no paper towels, no backup. That’s when it dawned on me that I’d be facilitating an entire move into a new house without my husband, with 2 small babies in tow (and without caffeine, no less). I’m a very capable and confident person, but in that moment I wasn’t sure how I would survive another relocation, the settling of another home, and more importantly surviving the next 6 months being a stay-at-home mom so close to the old job I loved, all while Ryan commuted to California every other week for work. The move went great, the house was settled faster than any we’ve ever had, and most importantly, we’ve had a really, really great year. Here’s to another summer of greyhounds fresh from the pink grapefruit tree in the backyard that is now one of my favorite places on earth. I just remembered that I was “actively” engaged in the big 101 in 1,001 List project I set out for myself in August of 2012, just a few months after we relocated to Wichita with a newborn in tow. It’s so funny, because I can picture where I was (waiting in the minivan while Ryan looked at a used car to buy) when I started drafting the list, and even remember the excitement of pushing Publish on the post detailing my list. No. 86- Watch AFI’s Top 100 Movies of All Time? Fairly cool in theory, but what do I do if they’re not on Netflix? It’s not like I have a Blockbuster around the corner anymore, and I certainly don’t have the motivation to start stalking them all on the local library website. No. 87- Read 25 books from my AP English book list from 2000? Another goal I’ve had since… well… since I actually took AP English in 2000. But I can’t even re-prioratize my time to get through the pile of 50+ “I traded frequent flier miles I couldn’t use for free subscription” magazines I’ve been hoarding in the garage for the last year. And let’s be honest- if I finally did carve out some reading time, the October 2014 issue of Food & Wine magazine would easily trump Dostoevsky. Many of the items were centered on getting to know our new-to-us-at-the-time state of Kansas (visiting the Plaza in Kansas City at Christmastime, drive through the Flint Hills, take a family river fishing trip to Missouri like we used to do when I was a little kid). We were actually able to hit more of those than I expected, but the rest went out the window when we relocated to Phoenix a year ago. I’m a little bummed that some of the ones focusing on philanthropy (No. 65- donate to a diaper bank one a month) Waverly (like No. 49- save $100 a month for the baby, or No. 62- writing a letter to the baby every month on the 31st) all fell WAY short of expectations. But I’d say that the (wonderfully) impromptu addition of No 102 to the list – Have a Second Baby- kind of threw everything out the window there. For you-know-whats and giggles, I think I’m actually going to try and finish out the last month as strongly as I can. I’m hoping to catch up on blogging about the other items I did manage to cross off my list, because a) that’ll be fun to look back on in 10 years, and b) it will make me feel slightly better about one more grandly drafted list that I was too lazy/busy/overwhelmed to complete. C’est la vie. 365 days ago, we took a couple of one-way flights from Wichita back to Phoenix. As we boarded our layover flight from Dallas to Phoenix, I ran into a half dozen of my old US Airways coworkers who were commuting back home in the thick of the merger with American Airlines. I felt a little lost, if I’m completely honest, as I could have been on that work trip myself but had left the company one year prior (working virtually part-time was hard with a 1 year old and no child care, but a 15 month old and newborn in the same situation would have been way too much to handle). Here I was, surrounded by peers I respected on an airplane filled with the sounds of my fussy baby boy… I will save an actual story of boarding that plane to Phoenix for another time, because it’s still two comically painful to tupe right now. Suffice to say, I was moving back to AZ with a completely new identity as a stay-at-home mom, and had no idea what being in Phoenix would be like as a mom and not a hard-charging corporate go-getter. I’ve had some growing pains, but am closing out this first year feeling so blessed for my current job and raising these sweet babes in our amazing home in an amazing neighborhood alongside my best friend. Phoenix- you’ve been good to us. Ryan’s on a red eye flight to San Francisco for work, my mom’s asleep in our casita, the kids are (finally) fast asleep, and I’m sitting in the quiet living room with a greyhound in hand, reveling at how a 3 year old’s birthday could somehow be the best non-wedding, non-baby delivering day of my entire life. Today was so low-key and basic and laid back (Waverly’s first visit to the Fisney store, lunch in the mall food court, a visit to Ryan’s office, and a quick stop at the dance wear store), and yet it was just bursting with magic and excitement and joy. I haven’t properly slept in about 3 years (not counting pregnancy insomnia before that), and I’m about as scattered and disorganized as they come these days, but I just feel so lucky that my little world of chaos involves stewarding this little girl into a happy, respectful, loving person. You’re a great kid, Waverly Spencer, and I’m so happy to call you mine. I’m surprised that I didn’t add “Learn how to coupon” on my 101 in 1,001 goal list, because I’ve always been fascinated by the idea of clipping out a little piece of paper out of the newspaper in exchange for getting groceries for free. I’m all about searching out a free shipping code when shopping online, but the act of physical couponing is SO foreign to me. I attempted to “coupon” the first summer we lived in Wichita, since I was a new mom with zero friends, working from home and having fair amount of free time on my hands. I spent $35 for a subscription to the local newspaper, and went crazy bookmarking all of those blogs with the catchy “Couponing 101” photos on Pinterest. I honestly found the whole process to be pretty overwhelming, with the huge binders full of inserts to have on hand and all of the pop-ups associated with the online coupon printing websites. The more I looked for deals, the more I realized that none of the products we seemed to buy had coupons available to use (and I wasn’t about to start eating entirely out of prepackaged meal boxes just to save 35 cents at the grocery). Needless to say, I did not make back my $35 invested in the newspaper subscription that summer. Fast forward to our situation today, where we have 1 more mouth in the family to feed and 1 less corporate salary to feed it with. We’re still readjusting to to the cost of living increase we’ve had by coming back to Phoenix from Wichita. Though our family is even less interested in eating process foods now then we were 2 years ago, we’re more open to finding ways to pinch a penny or two around the house. I’ve found some interesting blogs related to eating healthy on a budget lately, and recently subscribed to Money Saving Mom’s newsletter. I’ve been impressed with the newsletter content so far, and have actually implemented a few of her ideas, so when she announced that she had just acquired the rights to Grocery University, I was intrigued. I’ve signed up to give it a shot, and hope I’ll have some good tips to share with you (along with some extra cash in my grocery budget to show for it). Do you coupon? Or are you terrified of the process like me? Either way, I’d love to hear from you! 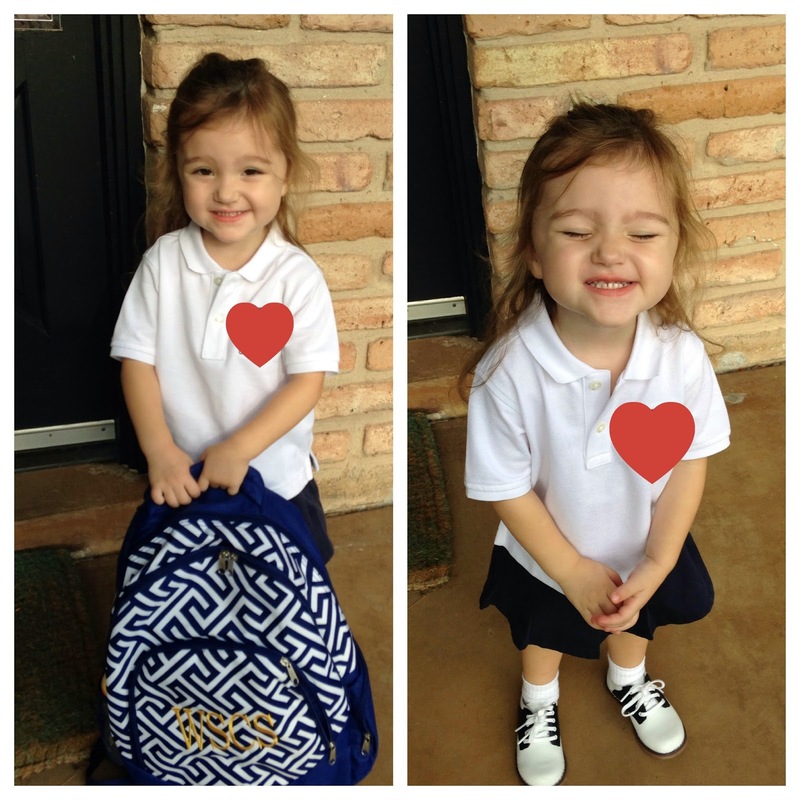 Today was Waverly’s first day of preschool! She’s doing M/W/F half days at a local private church school. Ironically, Pomp and Circumstance came on the radio on our way to her first day. God sure has a sense of humor sometimes! I could barely handle the sight of a bunch of toddlers and little kiddos running around in uniforms, it was just the best. I was also thrilled that one of my sorority sisters has a daughter in Junior Kindergarden there, it’s nice to know another family right off the bat. Waverly had a great day, save for the fact that she used a red Crayola marker as “lip-tick” and came out looking like a bit of a mess. But that’s what preschool is all about, right?! We celebrated by picking up her favorite doughnut at BoSa Donuts, which she ate in about a minute and a half. I asked if she had fun, and she said she did but that she “was cryin’ because she wanted Mommy to be with me but Mommy went to California”. (?!?) What. A. Doll. All in all, it was a great day. I can’t wait to see how she grows and develops in the next year ahead! This book was an impulse purchase made during a 2am nursing session during Wilder’s first few sleepless weeks of newborn life. I’m only 1/3 of the way through, but I’m really enjoying the story and subsequent “Food Rules” Le Billion has laid out thus far. I have not actually reached the part where one learns how to make your own child eat everything though, so will reserve final praise until I’ve finished. Wanting: An entire new closet (I’m just being honest here). In all seriousness, I’m working on slowly transitioning my closet into a capsule wardrobe. 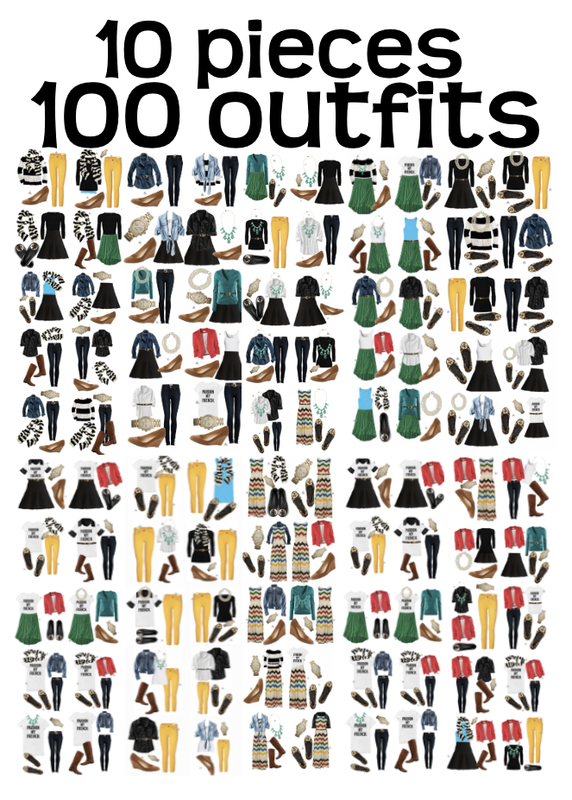 It’s a great concept – a small amount of clothing you mix and match to create a larger number of outfits (think those chic ‘how to pack for Europe in a carry-on suitcase’ pins you see on Pinterest, only using that as your full-time closet for the season). The hard thing about paring down to the essentials in your closet is realizing how many pieces you own that you’d like to swap for more useful items when your shopping budget is $0. Pulling a Tim Gunn here and “making it work”. More on this later. Needing: To not want to buy new clothes. The kids to both sleep through the night more than once every 6 weeks. To finally create a good house cleaning schedule. Buying: I was a good mom and put all of my birthday money towards Waverly’s new school uniforms (hello, cutest toddler saddle shoes on the planet! 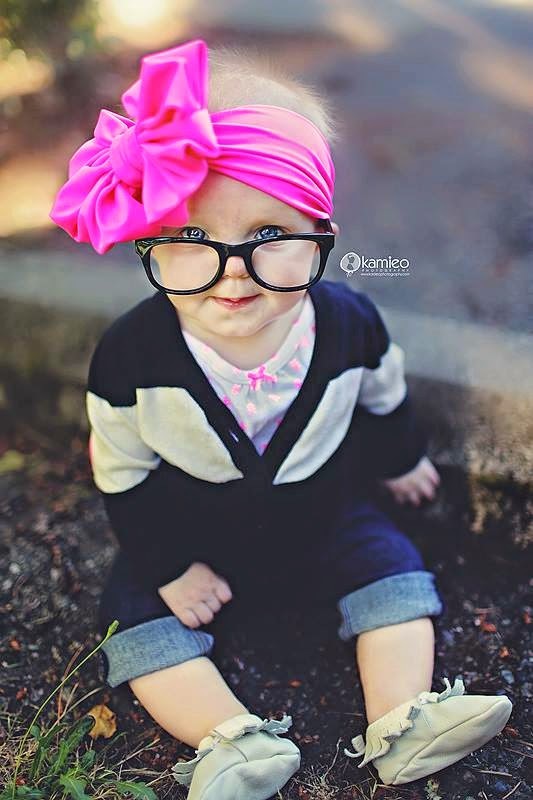 ), but did splurge on a neon pink messy bow head wrap for Waverly from Ruby Blue. I discovered the brand after seeing my blog friend Fancy Ashley’s daughter rocking some amazing messy bows on Instagram over the past month. It turns out that they’re water/pool safe too, so I decided to get myself an adult sized head wrap to hold back my hair when I wash my face. So fun. Listening To: Jamie Cullum Pandora station. Wilder crying through the baby monitor because he’s refusing to go down for an afternoon nap (for the 4th time this week). Planning: Waverly’s first day of school next week. Setting up my own printed weekly calendar/planning binder, as my Whitney English Day Designer finished in July. While I loved (looooved) my Day Designer, I need something smaller/lighter to tote around in my purse/diaper bag for 2 still in diapers. Also, I’m trying to spend money more responsibly (aka not buying something just because I want it). I already have a printer, paper, and access to the Internet (all wonderful things I’m trying not to take for granted), so will just go with a pretty, free printable until I come up with a better solution. So far, this free printable from The Handmade Home takes the cake. Googling: Recipes for easy to make party hors d’oeuvres made with ingredients that are supposed to be “good for your skin”. I’m hosting a little cocktail hour and fundraiser this weekend with some sorority sisters to celebrate the launch of my Rodan + Fields business. The idea of skin-friendly apps to go along with the skincare party theme could either be really adorable, or really dumb. The jury’s still out. I’ll keep you posted. Cooking: I’ve been working on some simple, delicious rotisserie chicken crock pot projects that I hope to blog about soon. Experimenting: With making my own chicken stock from scratch. Trying to blog every day. Dreaming: Life in London. This Phoenix heat is really starting to cramp my style, so I find myself mentally relocating my family to a rainy, drizzly fall afternoon in England at least 10 times a day. Loving the idea of moving back to Cambridge and walking the banks of the River Cam with my wellie-clad littles. Bliss. I stopped working my corporate job last March, and had 4 solid months to be a full-time stay-at-home mom with Waverly before her little brother made his grand arrival. Wangling a 1 year old isn’t easy for anyone, let alone a waddling 6 month old pregnant lady. I wanted to spend some good quality time with Waverly while I could, but winter was still in full force in Wichita so there weren’t a lot of great activities to choose from. I decided to look to my 101 in 1,001 list for ideas, and thought that enrolling Waverly in swim lessons could be a good option. Also? I love that After I got over the initial freakout about having to wear a swimming suit in public (not a pregnant lady’s favorite thing in the world to do), I signed us up for the April session. Swimming lessons are vital for your child’s safety. You may want to look into Coast2Coast in North York if you live in the area. I wasn’t sure what to expect when we showed up at the Wichita Swim Club for our first session. When I opened the double set of doors into the club, I was assaulted with a blast of hot, humid, chlorine-filled air and the sounds of high pitched kid squeal echos. I wasn’t a swimmer growing up, so I felt WAY out of my element. And even moreso realizing that I would have to parade around all of these kids and parents as the preggo in the swimsuit. Thank heavens– it turned out that the baby swimming lessons took place in this fully enclosed kiddie pool. Better yet- the pool was heated to about 85 degrees, so the minute I waded in I felt like I was in a giant bathtub. Pregnant lady bliss. Let me tell you what- baby Waverly may not have been a huge fan of these swim lessons, but it was a dream come TRUE for this uncomfortable pregnant mama. Sidebar- I initially choaked a little when I paid full price for the Carmen Marc Valvo swimdress I’m wearing in the photos, but it has seriously lasted (and streeeeetched itself) through 2 pregnancies and beyond, and is still in great condition. Worth every penny. We sang all of those classic swimming songs I had forgotten all about (Motorboat, Motorboat, anyone?) and played a few rousing games of “throw the Koosh Ball and pretend to swim after it!”. We even tried to get the littles to float (supported) on their backs, which Waverly apparently thought was the equivalent of waterboarding. Though she may be little, her lungs may be fierce. She even grabbed at me so hard in fright that she snapped the removable strap clean off of my suit. So much for poolside modesty. I’m telling you, I would have paid GOOD MONEY to sign up for being able to float around in that glorified bathtub of amazingness with other pregnant gals for an hour or two a week (kid-free, of course). I think their marketing coordinator had better get all up in that profit stream. All in all, I’m really happy that I had that little bit of bonding with my little girl, and hope I get to do the same with Wilder soon. Girl In Beta on Learning How To Coupon…? Kat Londen on Learning How To Coupon…?